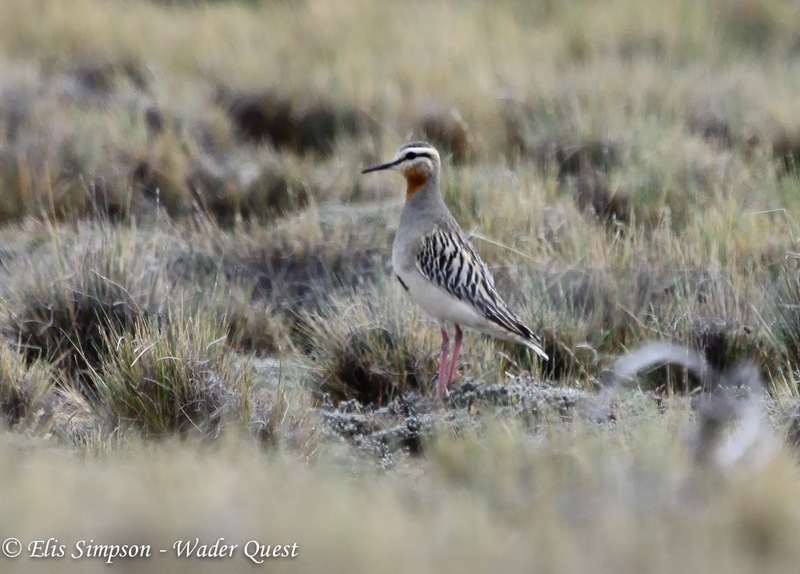 With three of the four target birds already clocked up, it was necessary to drive up to the higher and drier steppe areas to look for the last, Rufous-chested Dotterel. 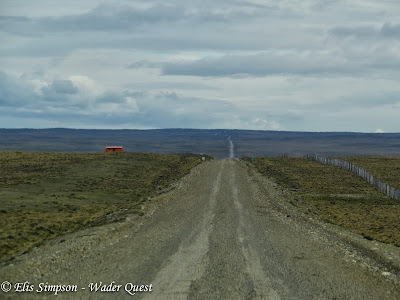 We did this on our way to Tierra del Fuego where we were to spend a couple of days. We worked on information gleaned from our friend Guto Carvalho of Avistar fame and the conversation I had had with Ricardo Matus the other evening. We arrived in what looked like suitable habitat and started to look around. We got out of the car to check over a small rise in the ground and while doing so heard the display song of the dotterel. 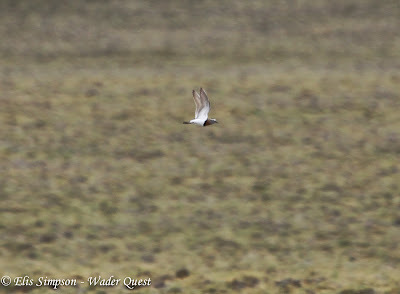 It wasn't long before we had located the bird, in flight. Rufous-chested Dotterel Charadrius modestus; our first in grassland near Gallegos Chico. 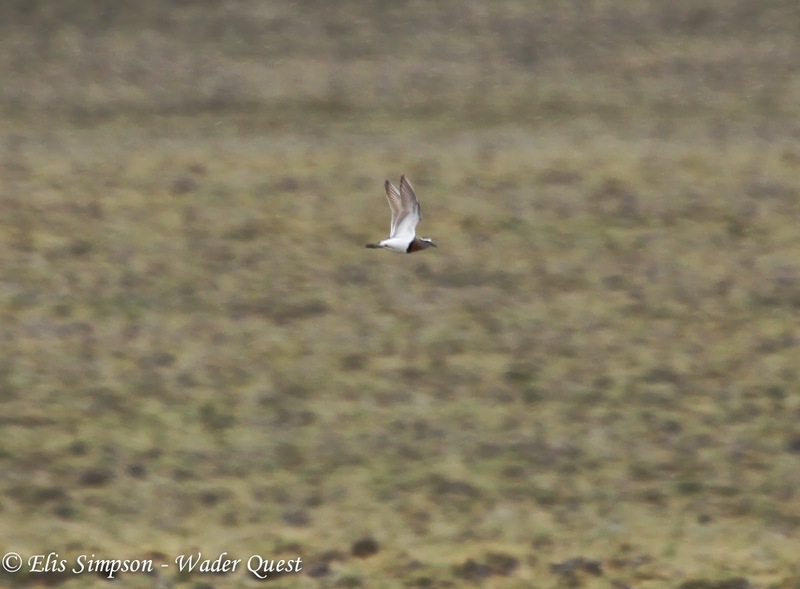 We spent a good deal of time watching this cracking little plover and enjoyed its periodic song flights, once it attacked and saw off three Baird's Sandpipers that had been foolish enough to cross its path. However we moved on when an articulated lorry pulled up right beside us with a smaller lorry and they proceeded to unload an orange cabin from it. 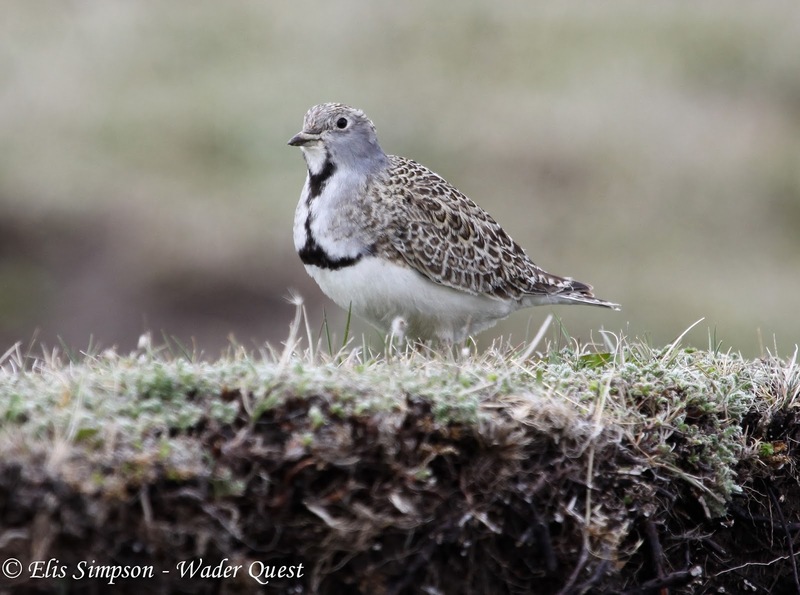 In all the hundreds of miles of steppe available they had to choose this spot! Rufous-chested Dotterel Charadrius modestus; grassland near Gallegos Chico. 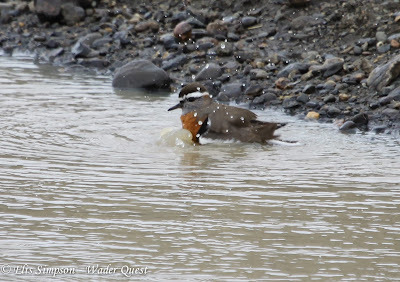 We later came across a small pool that was obviously a magnet to these birds; during our time watching it at least five individuals showed up for a bath. 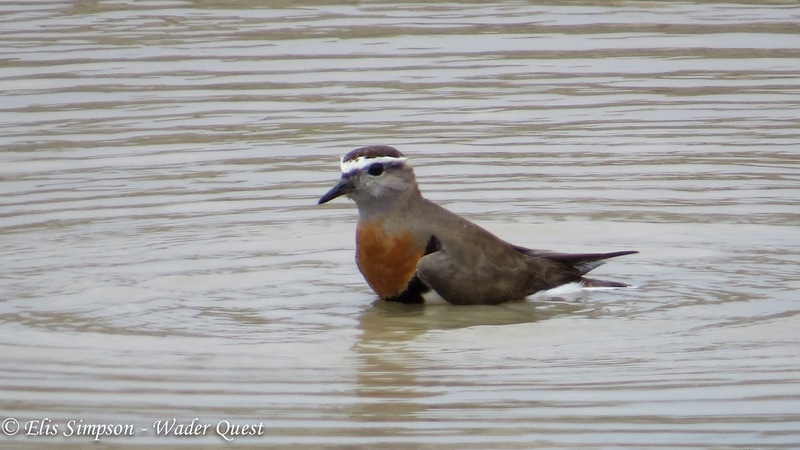 Rufous-chested Dotterels arriving for a bath. Least Seedsnipe were comparatively common along the route and several showed really well close to the road. 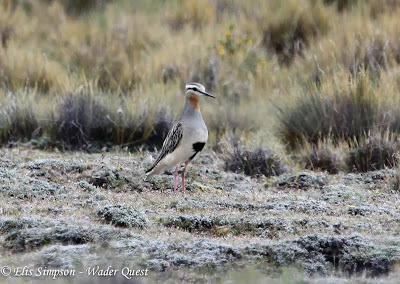 Although their similarity to other waders is hard to see when they are on the ground looking much more like sandgrouse or even grouse, when they fly they look much like the Baird's Sandpipers that were also in the area. 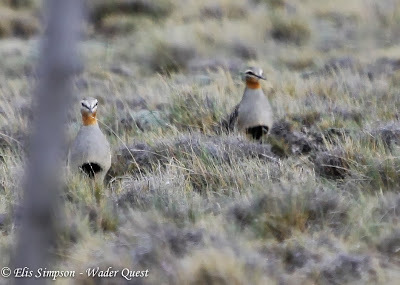 Least Seedsnipe Thinocorus rumicivorus; grassland near Gallegos Chico. 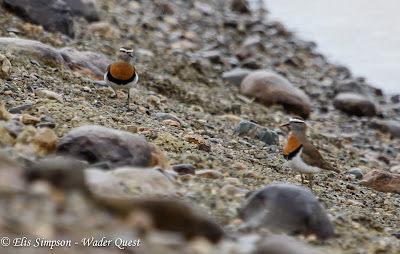 We came across a pair of Tawny-thraoted Dotterel near the Rufous-chested Dotterels but they would not show themselves in a way that leant itself to photography, however we came across four more when descending off the higher ground that were much more obliging. 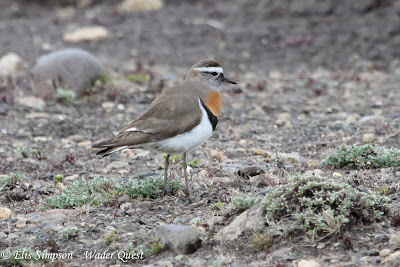 Tawny-throated Dotterel Oreopholus ruficollis; grassland near Gallegos Chico. 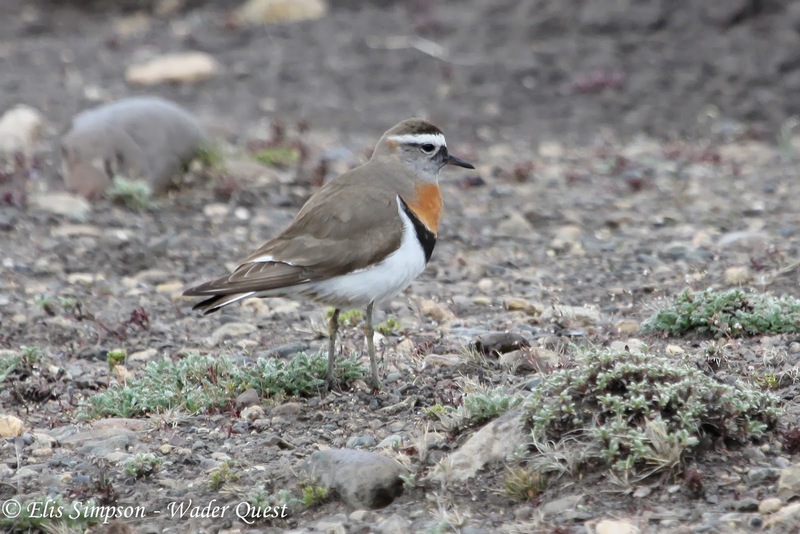 Tawny-throated Dotterel, a fantastic bird. 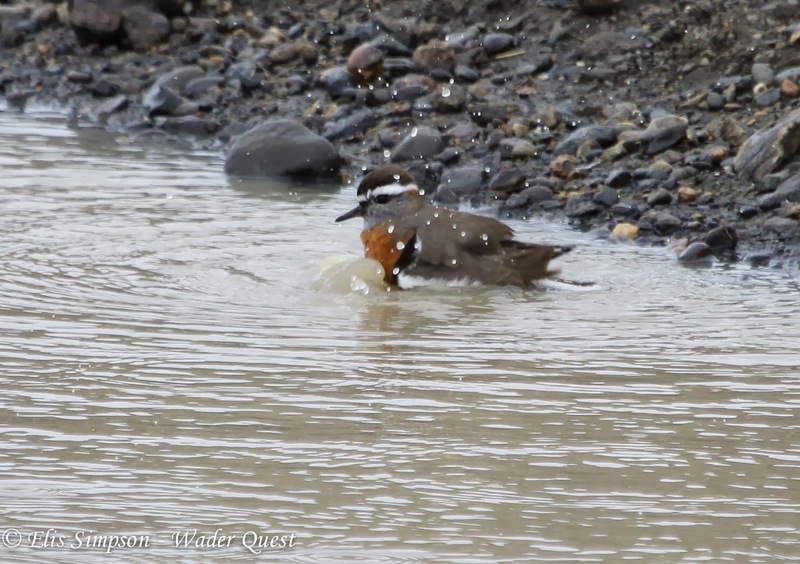 We then headed down to the ferry and on to Tierra del Fuego.